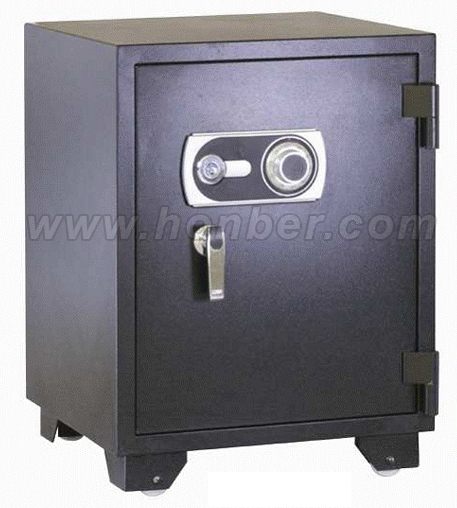 Recognized as an established, China-based supplier and manufacturer in the home & office security industry, Ningbo Honber Industry & Trade Co., Ltd. has been offering its customers quality fireproof safe, combination and gun safes. With both advanced technology and professionalism, the supplier is sure to meet each customer's demand and provides the best Fireproof Safe on the market. Due to having provided the functional Fireproof Safe products, digital safe, gun cabinet and etc, Honber is considered as one of the biggest and most professional suppliers of security products in China. Most safes can provide well protection from the damage of manpower, but if it comes with the accident such as fire, only the Honber fireproof safe can still give the full protection of your valuables. To provide the best quality and protection, it is made of cold rolling steel plate of high quality for extra strength. Inside the product is double steel wall with special material. This unique design of the fireproof safe can make sure that no damage to inner things after 2 hour in fires to 1030C degrees. The powerful function and protection are the reasons why Honber has good reputation in this industry. Are you ever worried when the accidents might happen? Just get one for yourself right away. Honber also accepts OEM orders. If you need more specific information, please feel free to contact us.